This post is sponsored by iHerb. As always, thank you for supporting the brands I choose to partner with! One of my goals for this month was to go on at least 2 weekend hiking adventures in new-to-me destinations. Come to think of it, I think this was a goal for last summer too. The difference: unlike last year, I’m no longer just talking about said adventures – they’re happening! For the past couple of weeks, one of my besties from work and I have woken up early on Sundays and headed for the mountains and get our weekly dose of nature. 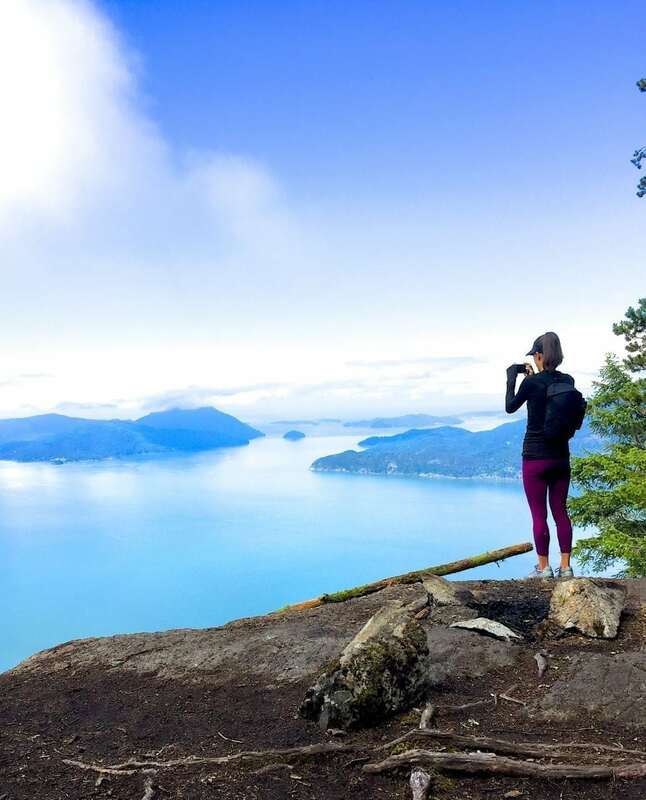 I’m terrible for bailing on outdoor plans when the weather is less than ideal (which has been the case for LOTS of June), but determined to hit this goal and see 2 new places, I sucked it up and decided to put my vast assortment of lululemon gear to the test. 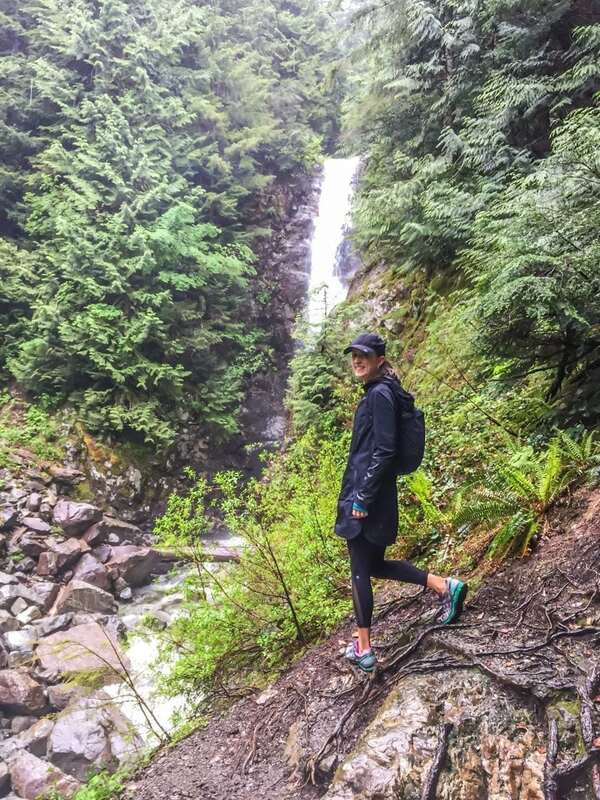 Two of the notable hikes we picked were Tunnel Bluffs and Norvan Falls, both on Vancouver’s north shore and about 40 minutes from the city. Taking between 4-5 hours each, both were great workouts and 100% worth the effort for the views that we got to see. It’s amazing what a difference taking your fitness outside makes when you’re so used to being in gyms and studios for the winter, and the fact that summer only officially started last week has got me vibrating with excitement for more. 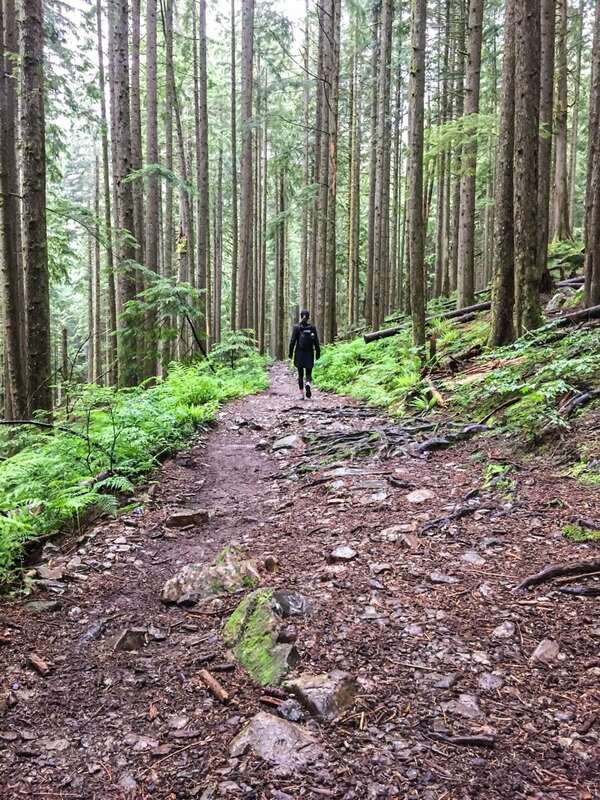 With some longer day hikes planned once the snow melts in the mountains (hopefully by July! ), one of the things I’ve been working on is creating some snack ideas to keep me fueled along the way. 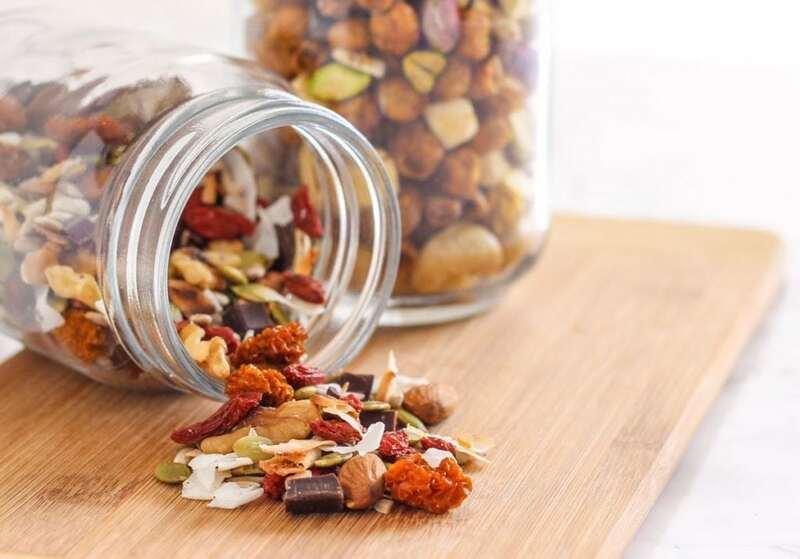 Coincidentally, healthy snack ideas are also a common request I get from readers who are looking for nibbles to get them through everything from plane rides to mid-afternoon energy slumps at work. 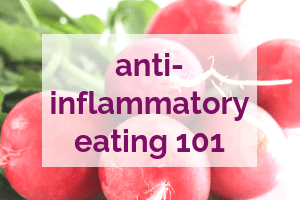 I think it’s become easy to rely on sweet snacks like energy bars, bites and chews, but one of my goals for myself was to come up with a few savoury ones too. 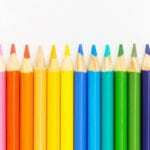 Of course, sugar has its purpose in physical activity because our bodies use it for energy. 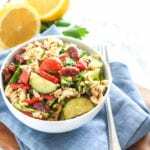 But even for long strenuous hikes that necessitate more calories, having only sweet snacks can get a little sickly – and they’re not a great idea for desk munching either. 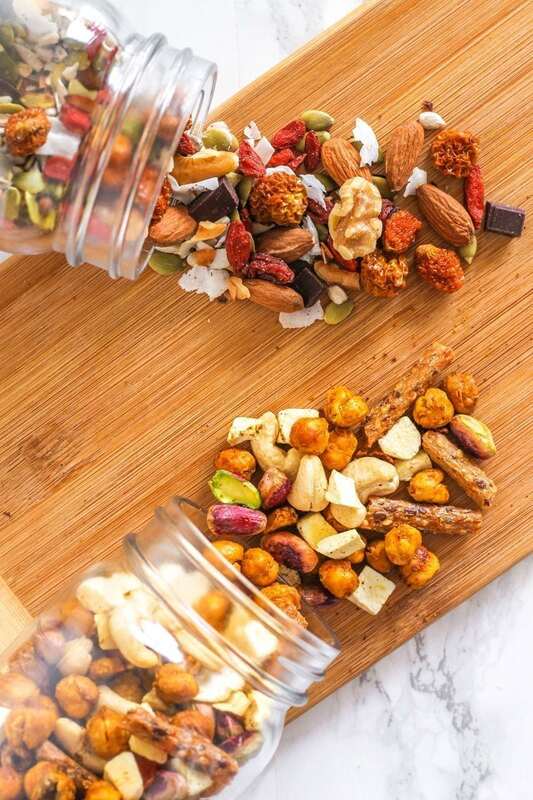 With trail mix being a common hiking staple, I wanted to create two versions – sweet and savoury, one to satisfy each type of craving. 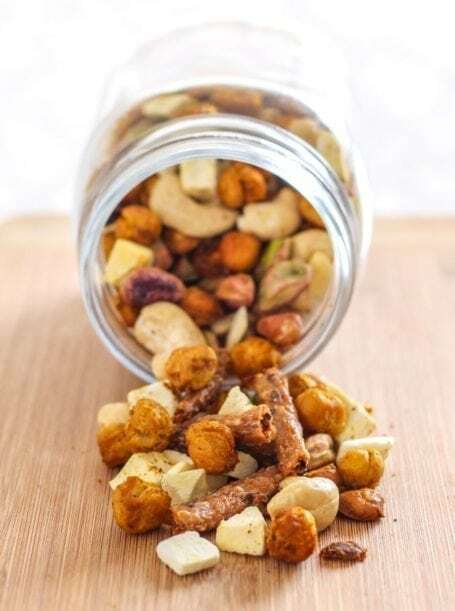 To do so, I teamed up with iHerb to get the ingredients for my DIY trail mix recipes, plus a few other ready-to-eat snacks that I was curious about trying. 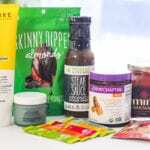 One of the things I love about iHerb is the massive selection of over 35,000 products, many of which I can’t get in stores here. 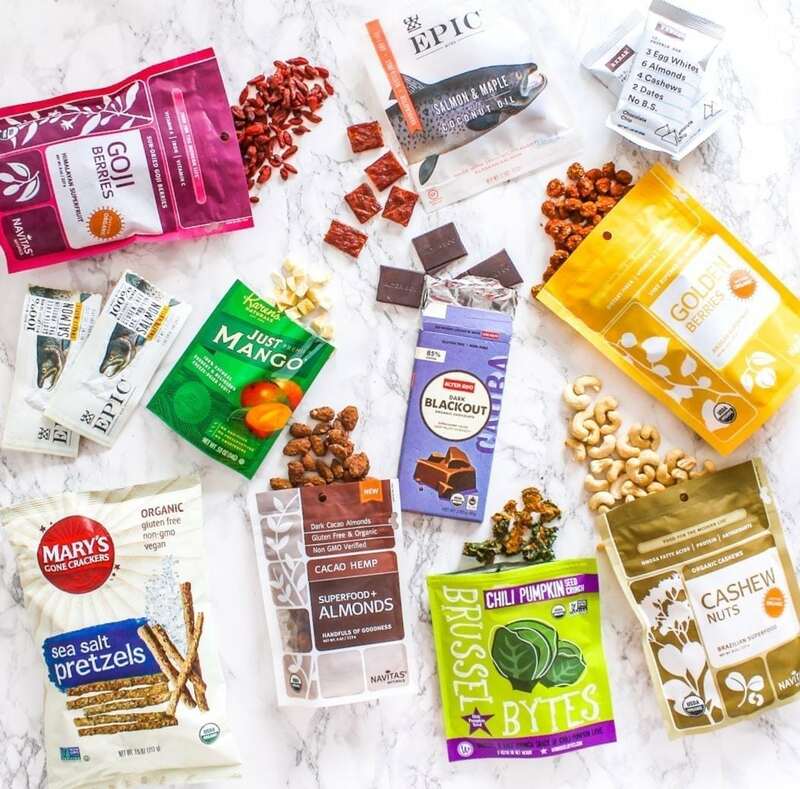 They’re a Google-trusted seller, ship to 160+ countries and offer customer service in 10 different languages, so even if you don’t live in North America, this might just solve the problem of not being able to find the healthy options you want locally! I feel very late to the party on these and part of the reason is because they’re not sold in stores in Canada. If you’re unfamiliar, RXBAR prides itself on a very short, whole food ingredients list in its bars. In the case of my Chocolate Chip flavoured ones, they’re made of egg whites, almonds, cashews and dates. 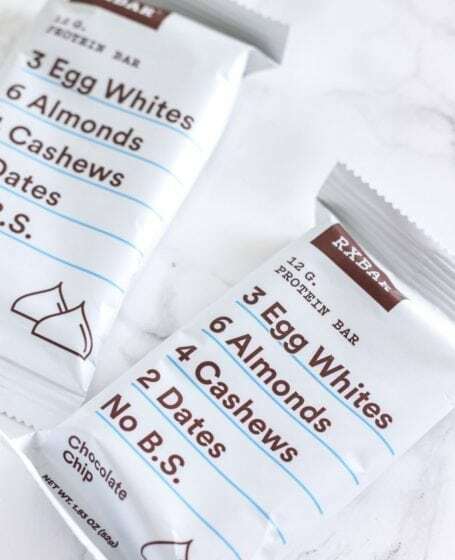 The ingredients label also lists cacao, small amounts of ‘natural flavours’ and sea salt, but still, relative to other brands I think these are a pretty solid pick. I’m pretty sensitive to sugar so I found these to be on the sweeter side with 13g per bar. (Not bad compared to others.) They hold together nicely, don’t melt or make a mess after being in a hiking backpack, and they’re free of gluten, soy, dairy and artificial sweeteners. I really like this flavour but am told that the one to try next is definitely the chocolate sea salt. Anyone care to share their faves? These were both to be used for my sweet trail mix, but they’re great on their own too. I like them because both are chewy and different to the standard dried cherries + cranberries found in standard mixes. 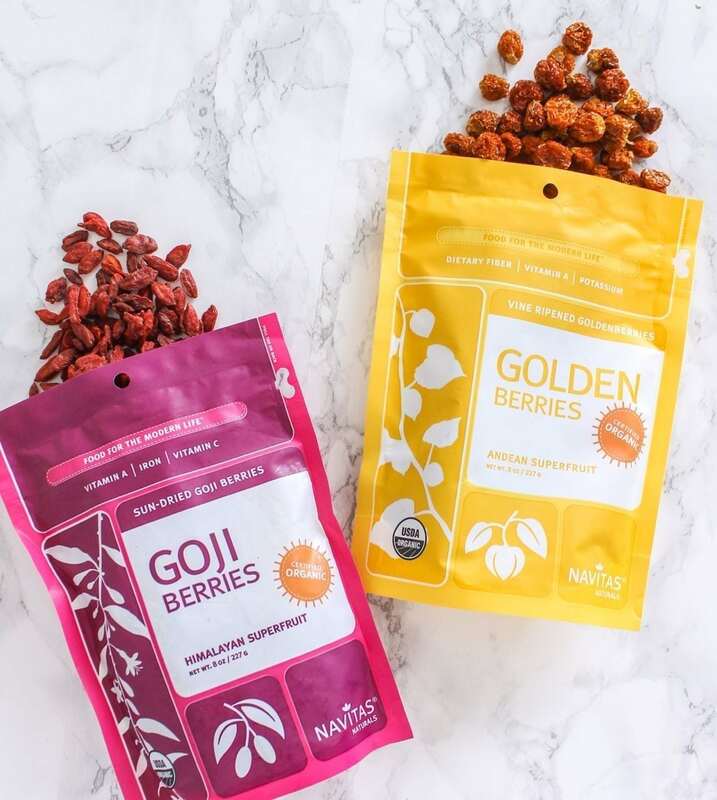 Both golden berries and goji berries are also packed with nutrition – lots of vitamin A, fibre (to keep you full), and surprisingly, both provide some plant-based iron and protein. This is different to standard dried mango pieces, which typically have sugar and sulphur added to preserve the fruit. Freeze dried mango has had all of the water sucked out, so it’s got a crunchy texture while keeping its natural sweetness. I used it as a contrasting flavour in my savoury Taj Mahal trail mix recipe, and ordered this brand. 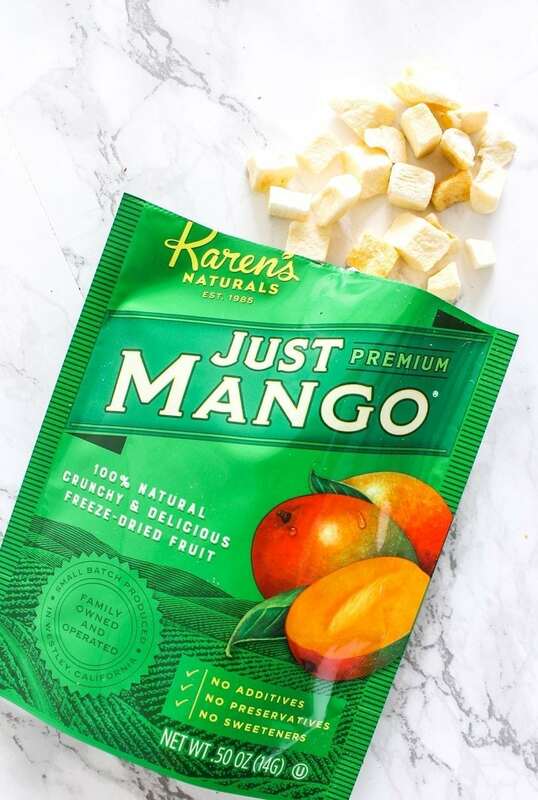 As the package says, the only ingredient is mango – no added preservatives or sweeteners. 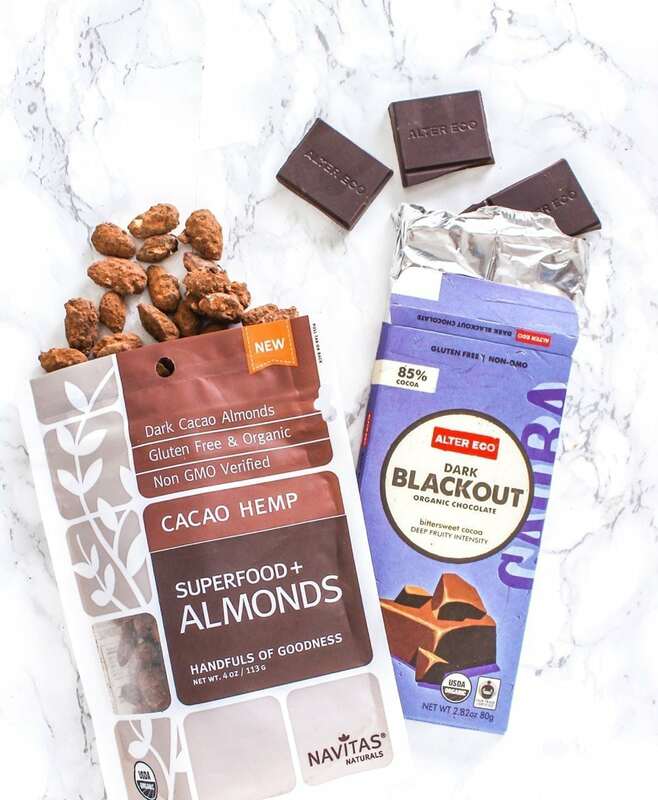 Not just any chocolate, but Alter Eco Dark Blackout Organic Chocolate and Navitas Organics Superfood+ Cacao Hemp Almonds. The Alter Eco Dark Blackout chocolate is 85% cocoa meaning it’s still rich in antioxidants that earned dark chocolate its ‘health food’ status. 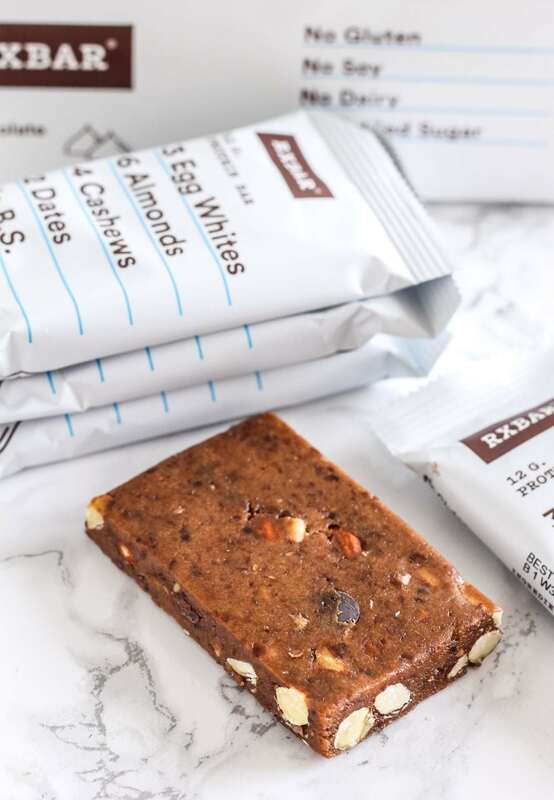 Just a little bit satisfies a chocolate craving, and you won’t feel like you need to eat the whole bar! 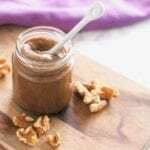 The Superfood+ Almonds are also dusted in cacao and get an added crunch from hemp seeds, so if you’re tired of the regular raw kind, this might be a good way to switch things up. Not only are these some of my new favourite mix-ins for hiking, but they’re also good choices if you need to keep some emergency snacks in your desk drawer at work. ? 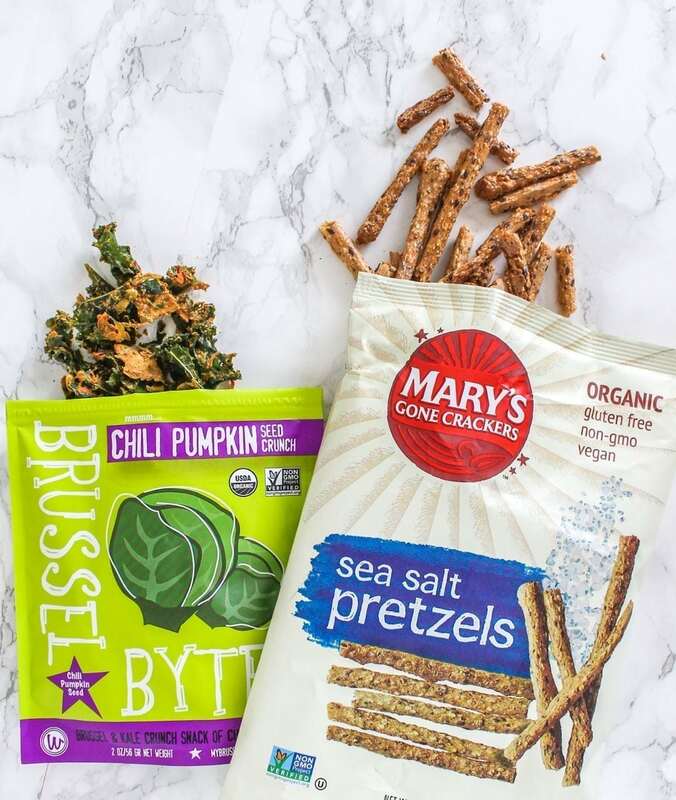 Stick + Twig Pretzels sounds exactly like something that should be taken on a hike, do they not? Mary’s Gone Crackers is my cracker brand of choice because despite being gluten-free, they’re still made of 100% whole grains. (Other gluten-free crackers often contain refined flours, GMO corn etc.) Brussel Bytes are a kale chip-like alternative that I’ve raved about before, and the chili pumpkin flavour is definitely a favourite. Their cashew-based coating helps them stay crispy and crunchy, and these guys are also raw and gluten-free. You’ll find the pretzels in my Taj Mahal mix below. These were one of the brand-new-to-me finds that I was super excited to try. Having been mostly pescetarian for so long, I’ve never been one to get into jerky because they’re typically made of beef and pork. EPIC is a brand that came onto my radar recently thanks to their sustainable sourcing efforts which you can read about here. 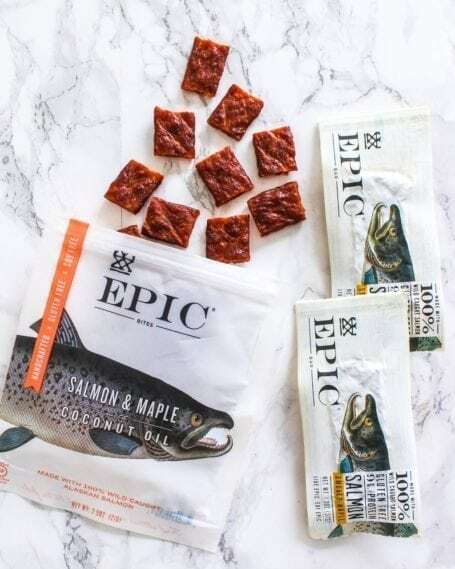 The salmon used in their bars and bites is Marine Stewardship Council Certified and 100% wild-caught. Each product has about 9g protein per serving and only 2-3g sugar. Admittedly, I’ve found the bars to be a little weird in taste (I’m still deciding if I like them) but the Salmon Bites are absolutely delicious. Oh, and I should also note – here in BC, bears are a real thing. I have NOT been bringing these out on the trails with me, but instead using them as a post-hike snack that stays very securely in the car! 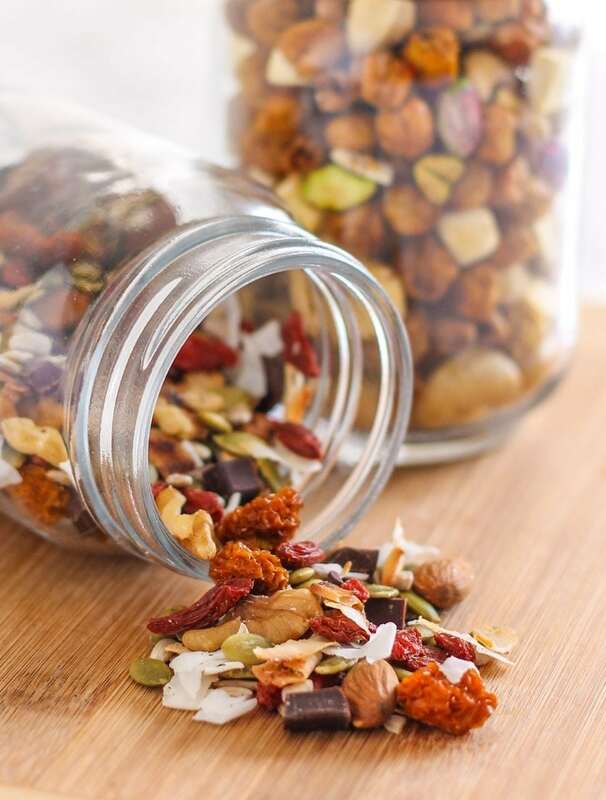 Right, it’s DIY trail mix recipe time! 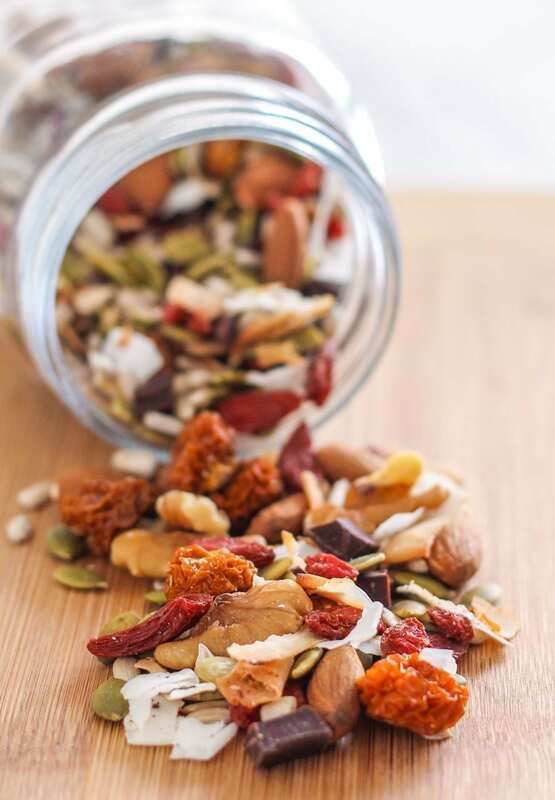 First up is what I’m calling Health Nut’s Indulgence Trail Mix. 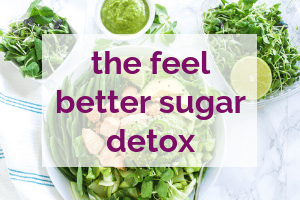 It’s full of all sorts of nutrient-dense superfoods including raw nuts and seeds, plus some chopped dark chocolate bits – that’s the indulgent part! ? Switching gears to the savoury one, I’ve called it the Taj Mahal Trail Mix. 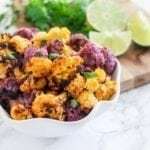 This is an Indian-inspired blend that I added my own roasted chickpeas to, and because of this, there’s a little cooking required. However, if you don’t have time you could totally just purchase crispy chickpeas. One of the things I like doing with trail mixes like this one is adding larger ingredients (like the gluten-free pretzels) because they add volume without the high calorie density that nuts have. We all know how easy it is to get carried away with trail mix portions, but I find that using this strategy definitely helps. Preheat the oven to 400F and line a baking pan with foil. 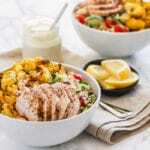 In a bowl, toss the chickpeas in 1/2 tsp melted coconut oil and the spices. Scatter them out on the baking pan and roast for about 20 mins or until crispy, stirring occasionally. 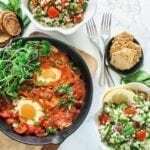 In a separate bowl, toss together all the remaining ingredients, plus the chickpeas when they’re ready. If you’d like to grab all the snacks I’ve linked up above in one fell swoop, you can find them here. Or, build your own shopping cart and get $5 off your first iHerb order by using this link. So now I’d love to hear from you. 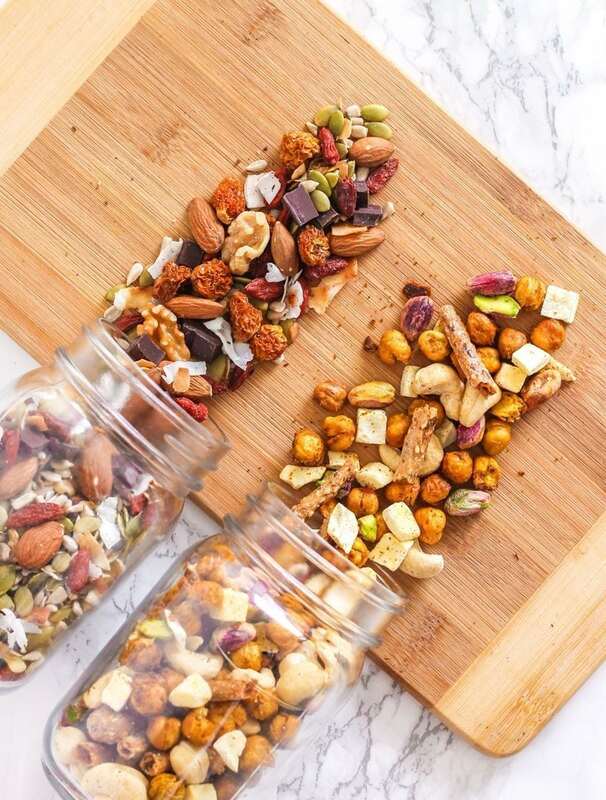 If you were planning for a 3-day backpacking trip and had to pick just one sweet and one savoury snack, what would they be? 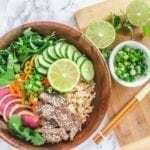 Disclosure: This post contains affiliate links, which means that if you use them to make purchases on iHerb.com, I receive a small commission. Again, thank you so much for supporting Eat Spin Run Repeat! 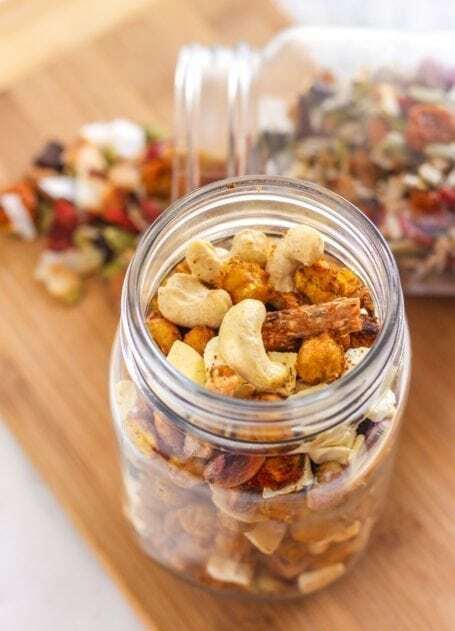 I love homemade trail mix! Your ingredients sound so good together! Thanks Rachel! I had so many more combinations in mind while making them so I might post a few more soon. 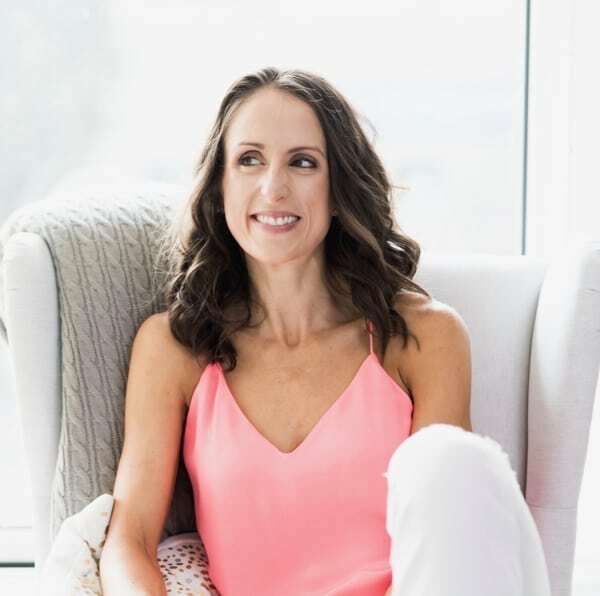 Let me know if you give either of these a try – I’d love to hear what you think! amazing! post….keep up the good work.